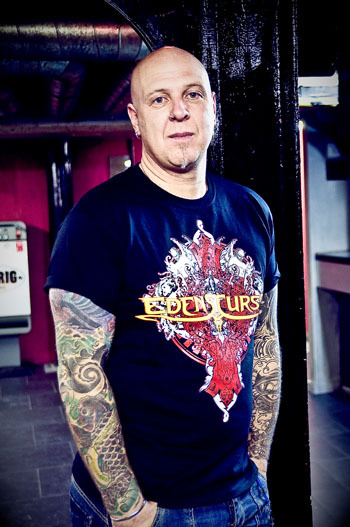 In late August 2007 the Rock and Metal world witnessed the birth of EDEN'S CURSE, a multi-national Melodic Metal group with its members spanning four countries and two continents. 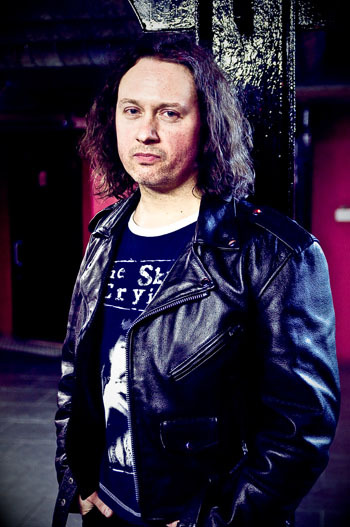 Formed in January 2006 by chief songwriter and bassist, Scotsman Paul Logue (David Readman / Cry Havoc) and United States born and bred vocalist Michael Eden (Seven Ten), these two musicians hatched a plan to form a group utilizing the wonders of modern technology and in particular the world wide web. Armed with nothing but passion, spirit and an uncompromising batch of hyper rock songs they found German guitar virtuoso Thorsten Koehne (Code Of Perfection / Demon Drive / Attack) and English Drummer Pete Newdeck (Steve Grimmett Band / Paul Dianno's Killers / Lionsheart / The Shock), before experienced German keyboard player Ferdy Doernberg (Axel Rudi Pell / Rough Silk / Therion / Taraxacum / Uli Jon Roth) completed the line-up in June 2006. With heavy weights such as producer and Pink Cream 69 bassist Dennis Ward (Angra / Krokus / House Of Lords / Michael Kiske / Allen & Lande) secured at the production helm and band colleague David Readman (Pink Cream 69 / Voodoo Circle / Adagio), as well as Doogie White (Cornerstone / Empire / Rainbow / Yngwie Malmsteen) and Carsten Schulz (Evidence One / Roger Staffalbach's Angel Of Eden / Midnite Club / Domain) on backing vocals, in their corner, the group signed to AFM Records (Europe), Metal Mayhem Music (USA), Spiritual Beast (Japan) and Dynamo Records (Brazil) and their album not only burst but more like exploded onto the scene in late August 2007 to critical acclaim. The group faired extremely well in the 2007 end of year votes throughout the global Rock & Metal press with the highlights being voted Best Newcomer of 2007 by RockUnited.Com readers, Best Metal/Prog Album 2007 by MelodicRock.com and Thorsten Koehne being awarded Guitarist of the Year 2007, also by MelodicRock.com. In June 2008 the band released a limited edition rare E.P. 'Seven Deadly Sins - The Acoustic Sessions' via their US label Metal Mayhem Music. Featuring seven renditions of tracks from the acclaimed debut in a laid back MTV-Unplugged type setting the E.P. is quickly becoming a collector's item amongst EDEN'S CURSE followers. Four months later and EDEN'S CURSE made an unexpected yet triumphant return with their sophomore release 'The Second Coming'. Once again production duties were handled by Dennis Ward as the band truly "upped the ante" in terms of song writing, performance and production. This has built upon the success of the self titled debut album. Many in the industry feel this album alone by itself will cement the arrival of EDEN'S CURSE as truly a name to be reckoned with! Assisting Michael Eden (Vocals), Thorsten Koehne (Guitar), Paul Logue (Bass), Pete Newdeck (Drums) and Ferdy Doernberg (Keys) in creating this huge wall of sound was none other than the voice of TNT, Starbreaker, Westworld and now a solo artist - Tony Harnell who sings backing vocals on the entire record. Doogie White once again returned to the aid the 'Curse Choir' along with the ever present Carsten Schulz. Also featured was vocalist Pamela Moore best known for her performance as Sister Mary on Queensr�che's 1988 epic release "Operation: Mindcrime" and 2006's sequel "Operation: Mindcrime II", who duets with Michael Eden on the incredible Power Metal Anthem "Angels & Demons". 'The Second Coming' was released in Japan via Spiritual Beast/Universal on 15th October, North America via Metal Mayhem Music on 22nd October and finally in Europe via AFM Records on 24th October. The Press and fan reaction has been superb with many hailing this as a real 'step forward' for the band with the album being quoted as a contender for album of the year 2008 amongst the stiff competition of releases from heavy weights such as AC/DC, Metallica, Guns N' Roses, and Journey. The band released a free download of their duet 'Angels & Demons' on MySpace which reached over 200,000 unique plays and even received praise and airplay from Iron Maiden vocalist Bruce Dickinson on his BBC Radio Rock show. The band were also picked by Classic Rock Magazine as one of their 'Bands to Watch For in 2009' which featured in Issue 128 for February. Following on from the success of 'Angels & Demons' the group released their first promotional video, of the track, which featured the lovely Pamela Moore. The track has been charting high in You Tube viewing figures and receiving great reviews. 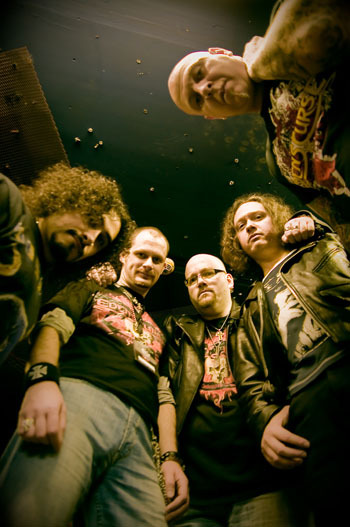 In May 2009 Eden's Curse achieved another of their goals which was to take the band to the stage. They headed off on a six date UK & Irish tour as opening band on a bill including Finnish Power Metal legends Stratovarius and Greek Melodic Metallers and band of current Ozzy Osbourne guitarist Gus G. - Firewind. The tour was a roaring success for the group who received excellent audience reactions each and every night and met many old and new fans. 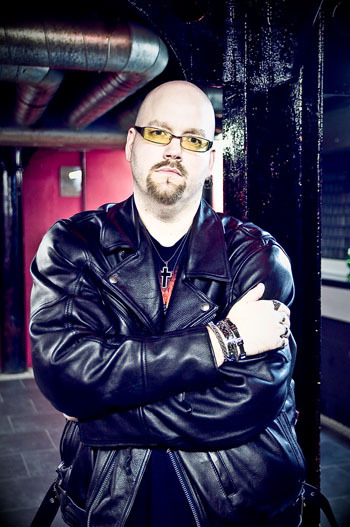 In June 2009 the group parted company with original keyboard player Ferdy Doernberg and appointed experienced Italian musician Alessandro Del Vecchio (Glenn Hughes / Ian Paice / Moonstone Project / Edge Of Forever) as his replacement. 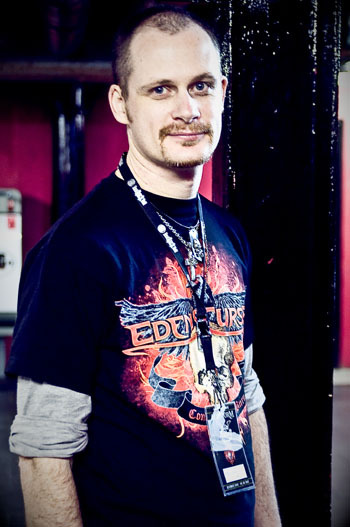 Del Vecchio made his live debut with Eden's Curse when the band headlined the Sophie Lancaster stage on the final day of renowned UK Metal festival Bloodstock Open Air 2009. 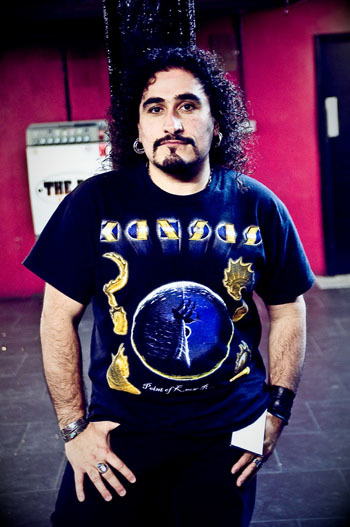 In December 2009 the band toured the UK with Scottish Pirate Metallers Alestorm and appeared at the Hard Rock Hell III festival to round off a superb year. The group are currently in the studio recording their third album 'Trinity' which is being scheduled for a release in late Spring 2011, however they took some time out to make their live debut on US soil with an appearance at Melodicrockfest 2 in Chicago alongside Y&T, Winger and Danger Danger to name but a few. The group continues to receive lavish praise, especially from the UK's largest Music Publication Classic Rock Magazine who heralded Eden's Curse as one of "Five Melodic Rock bands you must hear" in their Summer 2010 edition. The future continues to shine brightly for this multi-national quintet and this is only the beginning.